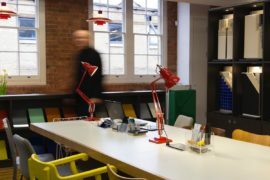 Established in 2000, Modus is a 21st century British brand that diligently balances good design with manufacturing prowess. 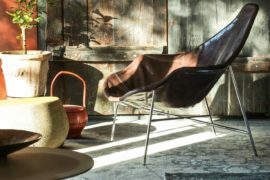 Working with a roster of internationally acclaimed designers, Modus has created a covetable collection of furniture pieces for a range of environments. 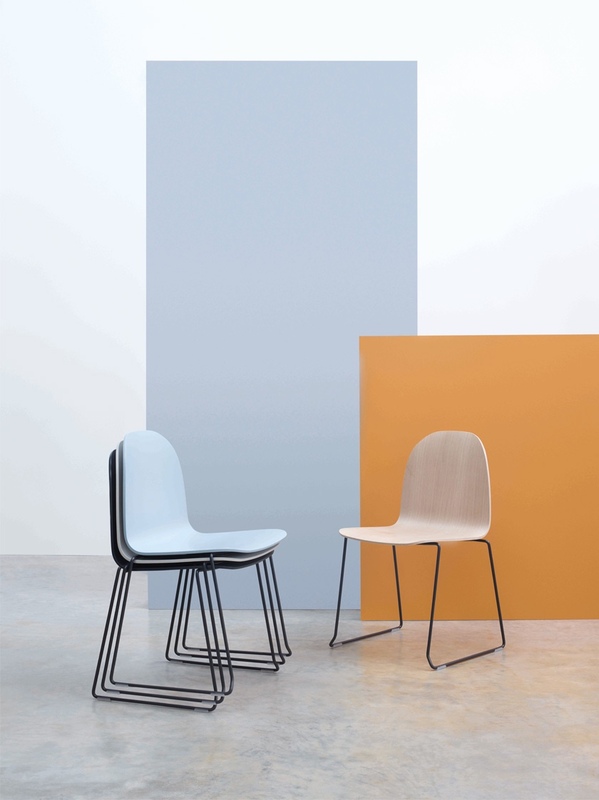 From its base in picturesque South Somerset (in south-west England), Modus produces its winsome range of thoughtful and creative sofas, chairs, stools, benches, tables and storage solutions. 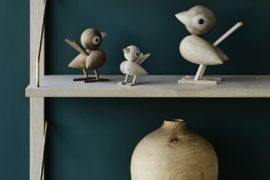 Crafted with integrity, works by Modus are aesthetic and functional, and embrace tradition, quality and longevity. 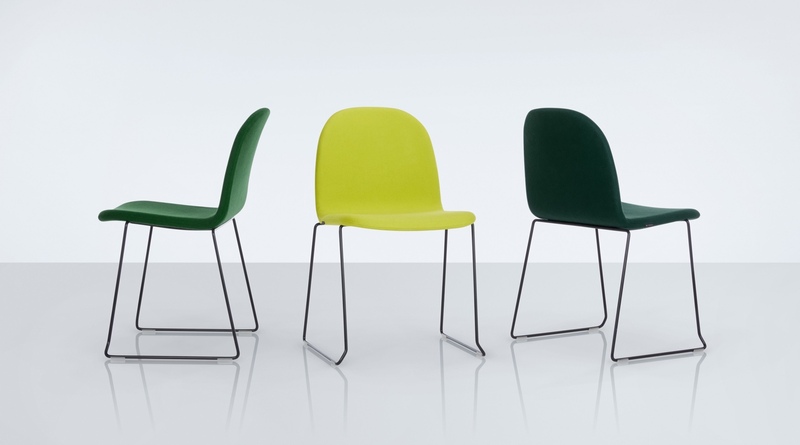 The following pieces from Modus—the Edge portfolio, Spring table, April sofa system and Everyday chair—represent a handsome selection of the brand’s latest designs. 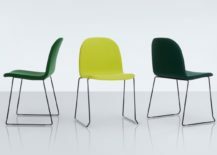 They were developed in collaboration with several esteemed designers—PearsonLloyd, Kenneth Grange and SmithMatthias, and Claesson Koivisto Rune. 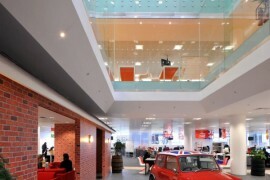 In the context of contemporary office environments, the designs are particularly apt. 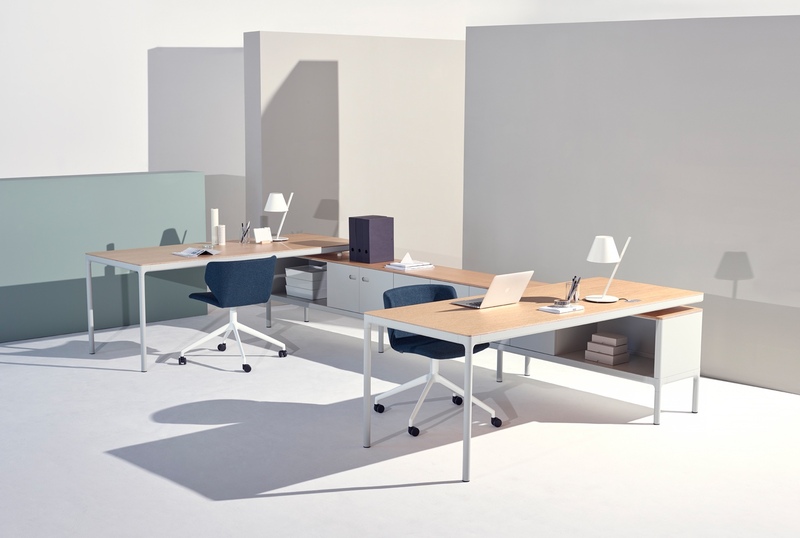 The new minimalist Edge portfolio takes into account the many demands of the modern-day workplace. 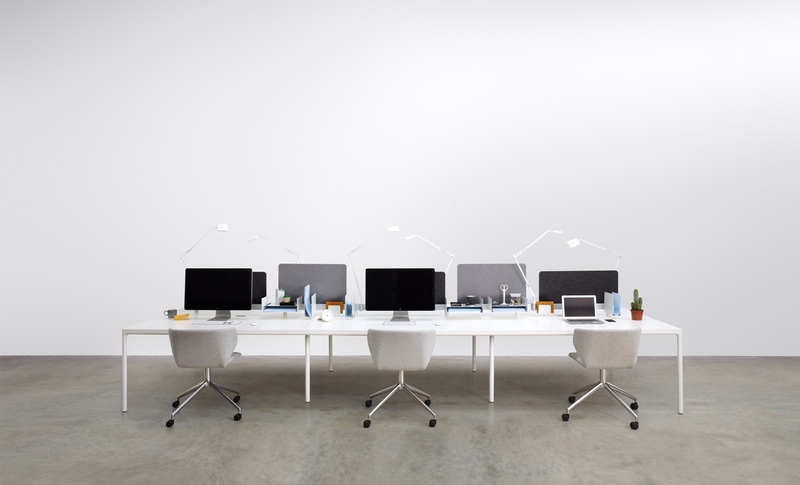 Meet, eat, work or rest, the Edge portfolio has it covered. A modular system, the varied elements of Edge combine to create a multitude of environments, including: open-plan work spaces, stand-alone pieces, shared tables, linear seating, clustered zones, and storage with integrated seating. 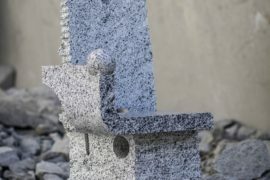 The applications of the Edge portfolio are endless indeed. Edge: smart benching for six. 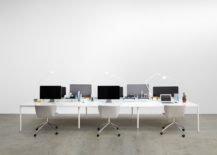 A workplace with a real Edge. 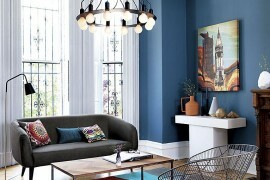 Photo courtesy of PearsonLloyd. 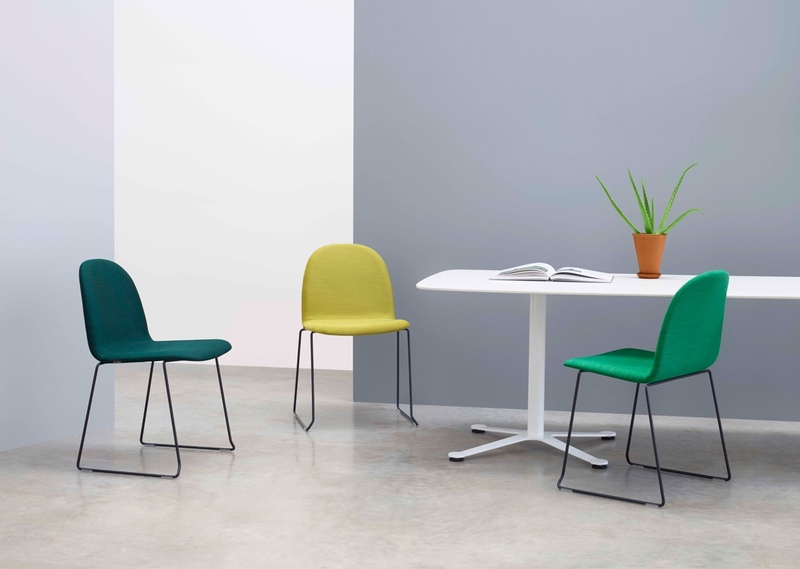 Designed by London-based design studio PearsonLloyd in collaboration with Modus, the Edge portfolio excels as a clever, flexible and adaptable workplace solution. Edge: Meetings have the edge. 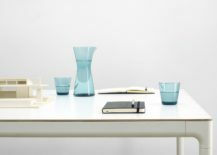 Conceived and developed by British design royalty Sir Kenneth Grange in collaboration with London-based design studio SmithMatthias, Spring is an altogether discerning table design. 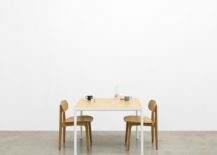 Available in a selection of configurations, these minimal, focused and utilitarian tables are visibly harmonious, especially when placed side by side. In addition, the perceptible metal bracket is a clever touch. 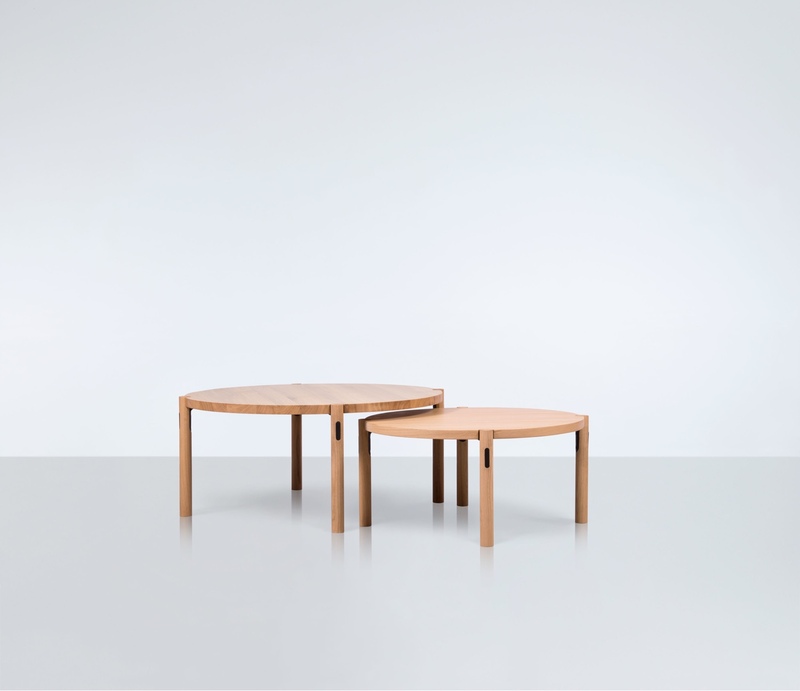 Spring tables. 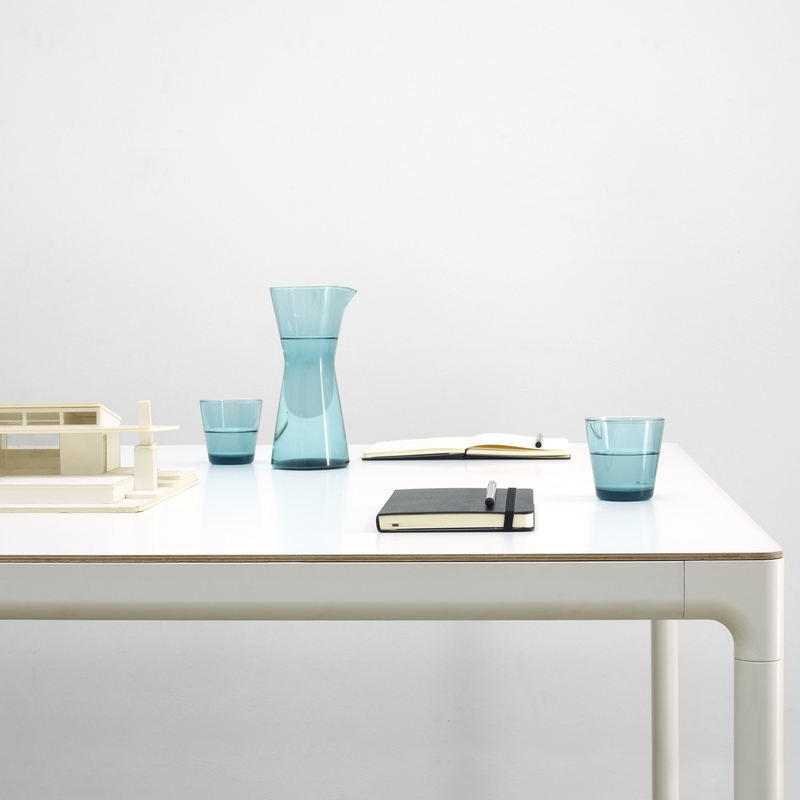 A collaboration between Kenneth Grange and SmithMatthias. 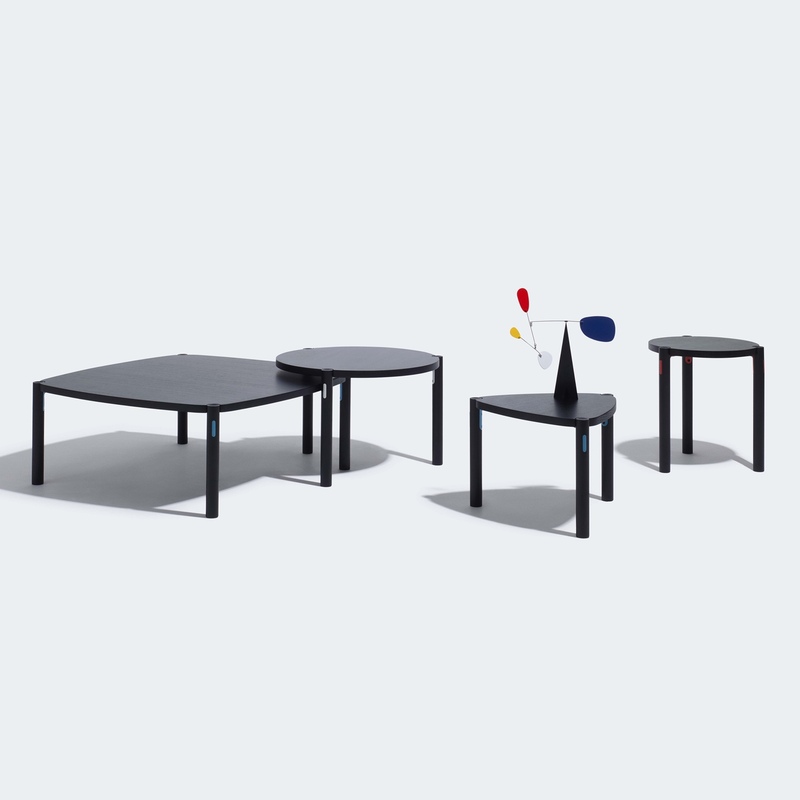 Spring tables. Photo © SmithMatthias. 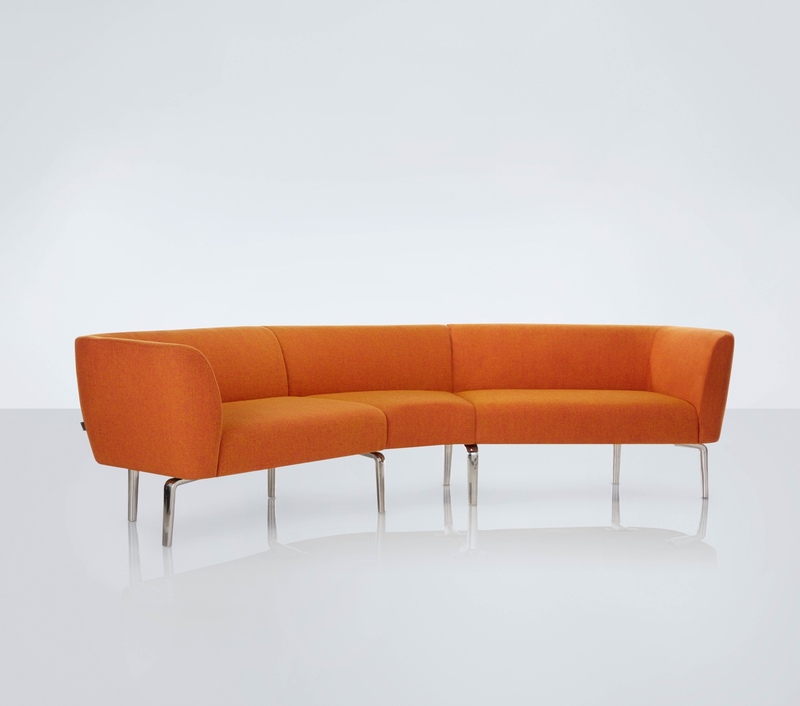 With its light profile, the sinuous April sofa system is a graceful design by Kenneth Grange and SmithMatthias. 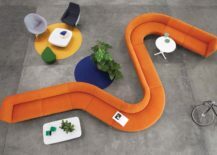 In formal or casual surroundings, this hugely flexible seating system is perfect when dividing large areas or creating flow around the objects in a space. All one needs is their imagination. 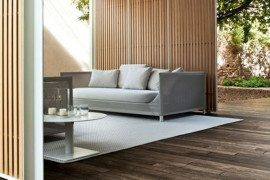 April sofa system. 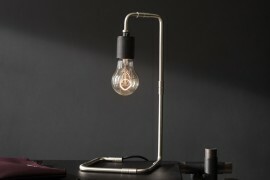 A collaboration between Kenneth Grange and SmithMatthias. 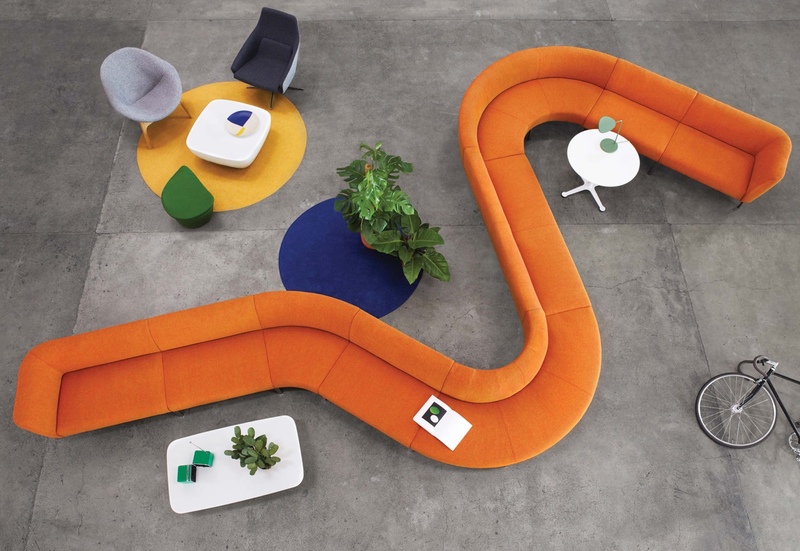 The sinuous April sofa system. Photo © SmithMatthias. 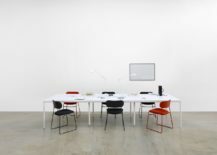 The Everyday stacking chair by Swedish design partnership Claesson Koivisto Rune, is representative of this innovative studio’s approach to design. 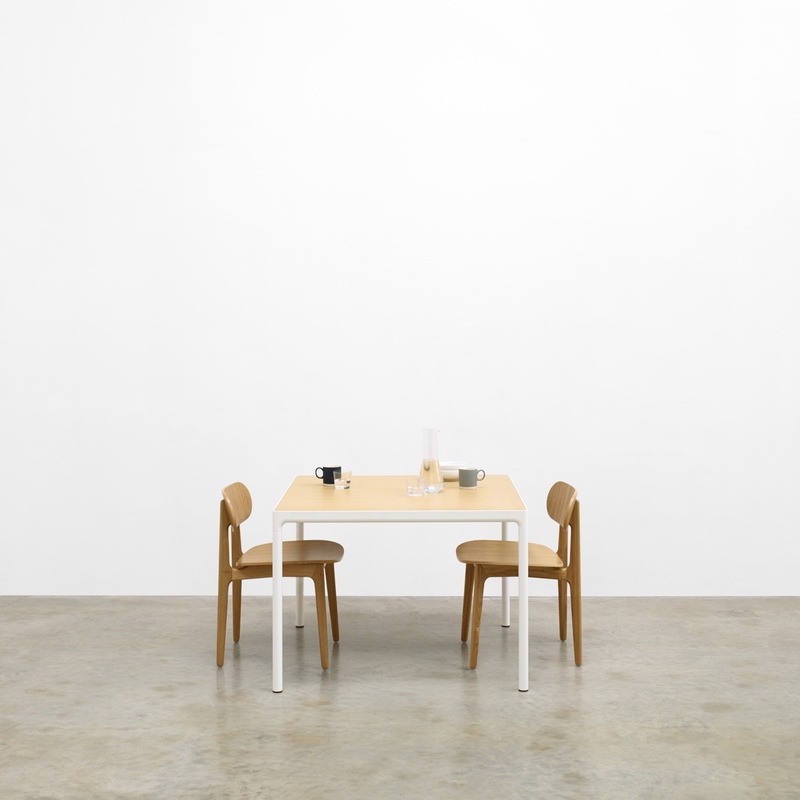 Simple, smart and self-possessed, the Everyday chair is far from ordinary and yet ideal for everyday use. 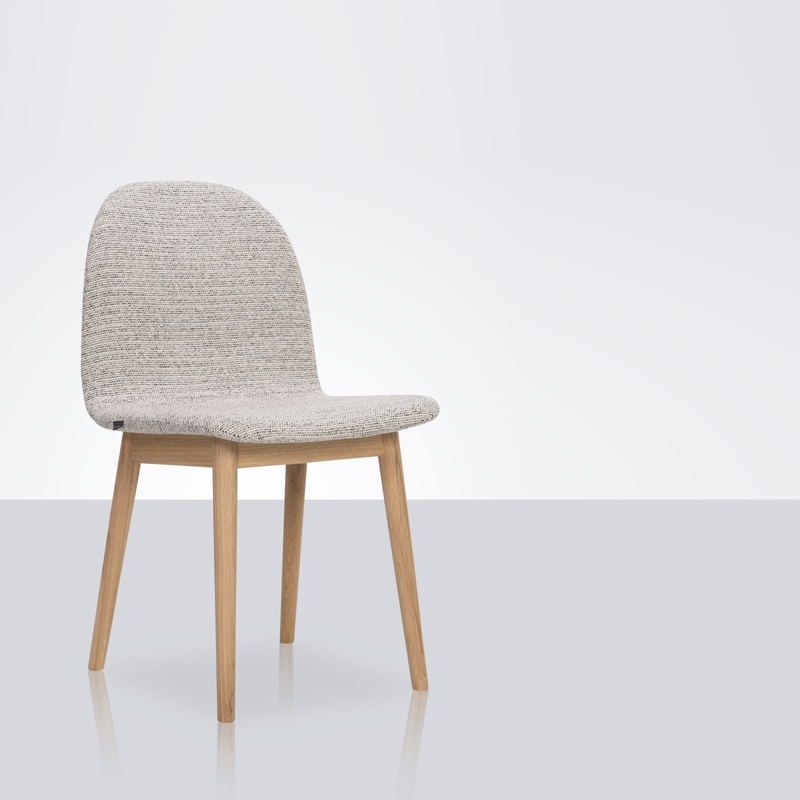 Everyday chair by Claesson Koivisto Rune. 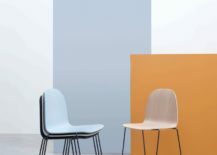 When designing the Everyday chair, Claesson Koivisto Rune were inspired by the clean, curvilinear forms found in works by American artist Ellsworth Kelly. 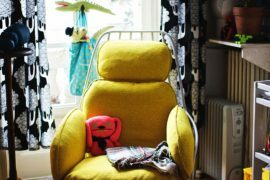 Everyday chairs. 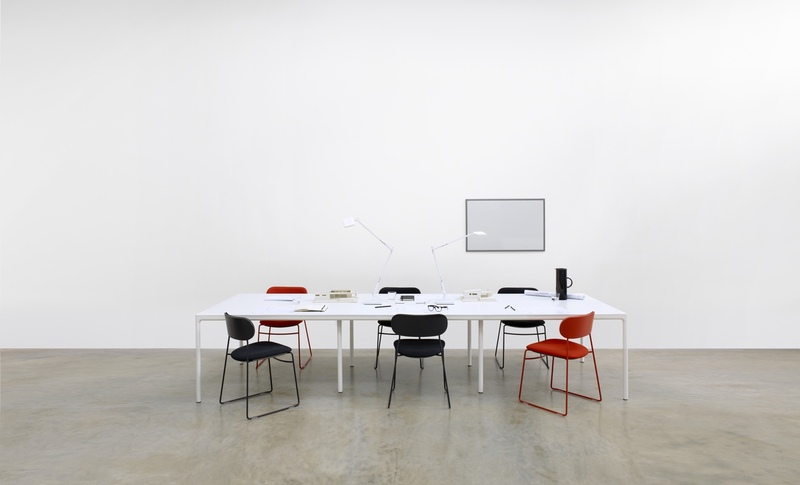 Photo courtesy of Claesson Koivisto Rune. All photos courtesy of Modus (except where otherwise stated).